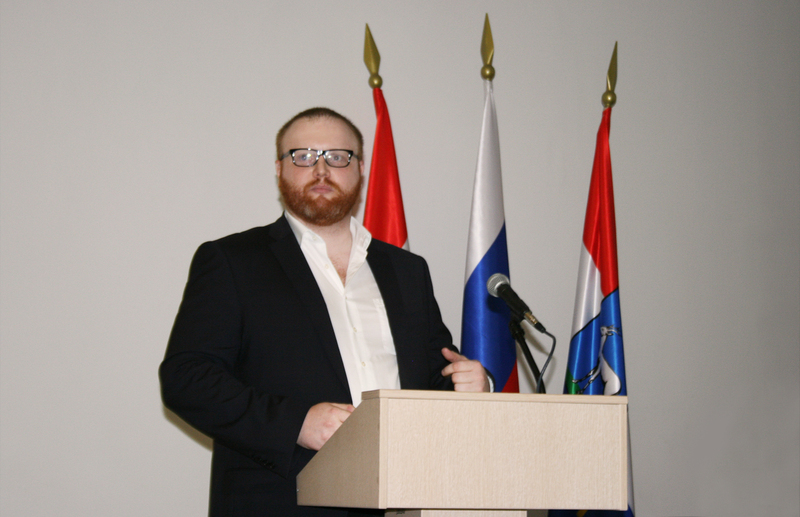 In Samara, from September 12 to September 15, the XIX International Conference "Complex systems: control and modeling problems" was held. KB "Panorama" took part in the work of the section "Information management systems in climatically optimized plant growing, monitoring of resources and crops". Our specialists presented the report "GIS as a basis to form a digital enterprise". 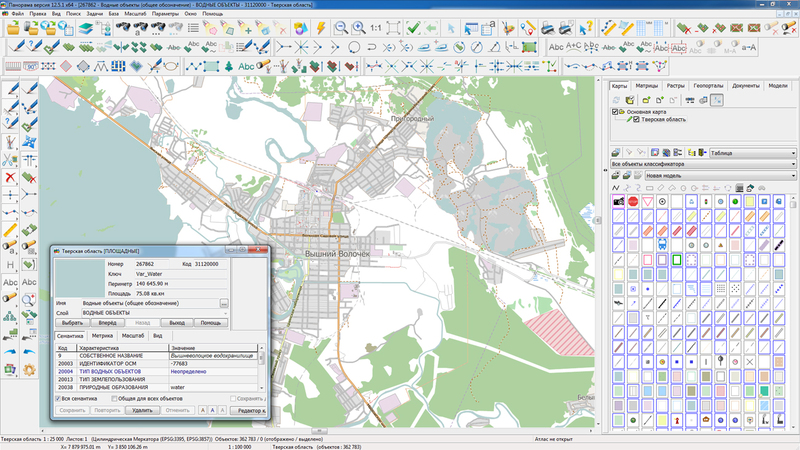 During a meeting the application of the software of KB "Panorama" (GIS "Panorama AGRO", GIS "Panorama", GIS "Server" and others) for construction of system of gathering, accumulation and the publication of spatial data was demonstrated. 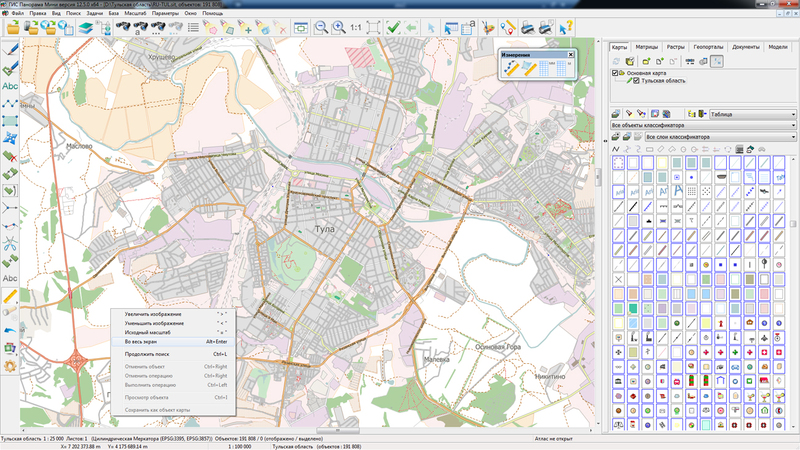 The software products of KB Panorama fully meet one of the main goals of direction of development of the digital economy related to the information infrastructure identified in the "Digital economy of the Russian Federation" program - the creation of an effective system for collecting, processing, storing and providing spatial data to consumers that meets the needs of the state, business and citizens in current and reliable information about spatial objects. As part of the work of the section, negotiations were held with representatives of Rostselmash, CLAAS, Amazon and other producers of agricultural machinery and software. As a result of the meeting, a number of agreements were reached aimed at improving the agrarian line of geoinformation systems, including "Panorama AGRO", "Workstaion of Agronomist", GIS WebServer AGRO. In cooperation with the universal GIS "Panorama" and GIS Server, these software products allow you to build complex distributed and scalable corporate information systems that allow you to automate a significant number of business processes of an enterprise working in the crop sector. International scientific conferences "Complex systems: control and modeling problems" are held annually in Samara since 1999. The main objective of the conferences is to provide a forum in which representatives of various scientific schools and disciplines could present their researches and developments in the field of management and simulation of complex systems. Conferences are organized by Institute for the Control of Complex Systems of Russian Academy of Sciences (ICCS RAS) under the patronage of International Association for Mathematical and Computer Modeling (IMACS), Russian National Committee on Automatic Control, Samara Scientific Center of the Russian Academy of Sciences. 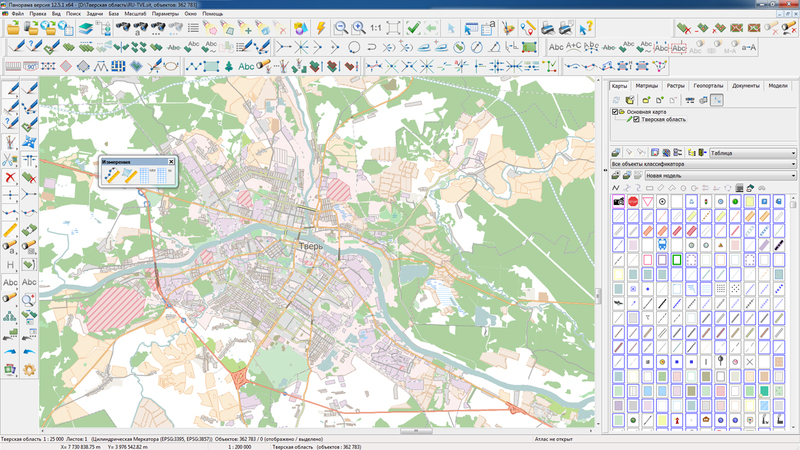 On the geoportal "Bank of spatial data", maps of Tula and Yaroslavl regions, formed according to OpenStreetMap data, were updated. Source data obtained from the GIS-Lab website are complemented by objects from maps of scale 1: 1 000 000. There are added the objects of hydrography, vegetation, road network. 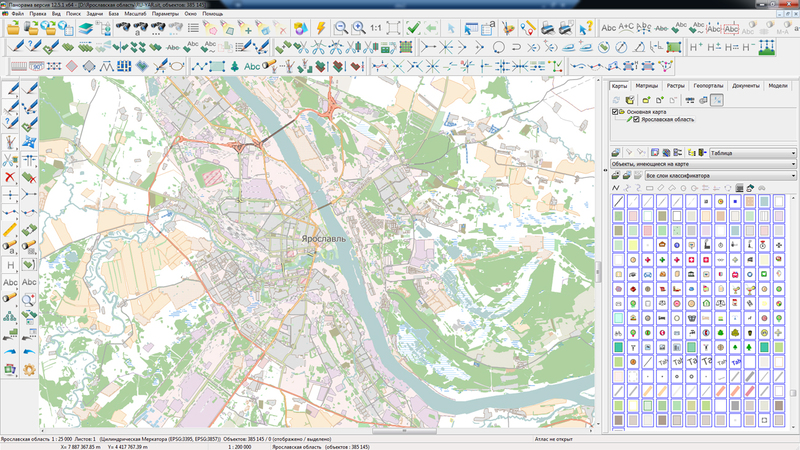 For work with the received maps it is possible to use the program of GIS Panorama Mini or other software products of KB "Panorama". 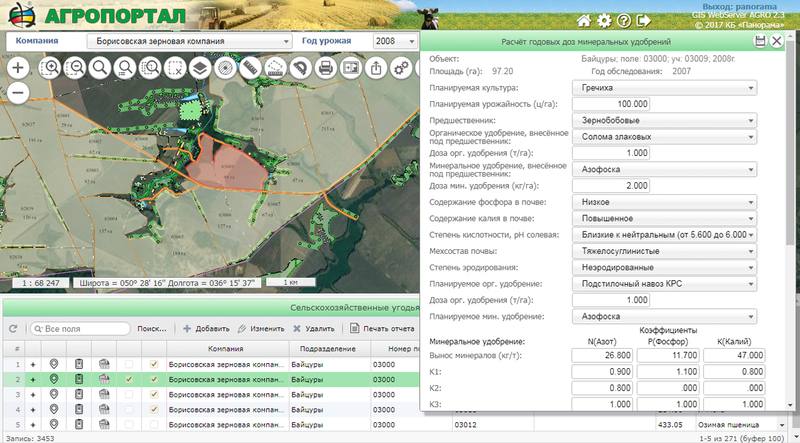 GIS WebServer AGRO version 2.3 is developed in KB "Panorama". The new version implements maintenance of field technological maps from a remote base of soil fertility in the GIS "Panorama AGRO". Technological map is a document reflecting the production technology. It indicates the ongoing agricultural operations and the technical means necessary for their implementation. The technological maps reflect the list of operations, their chronological sequence, agrotechnical requirements for the production of works, brands of vehicles and agricultural machines, their number and production rates. Field mapss take into account the area of the contour of agricultural land and contain information on the composition and amount of material inputs for the cultivation of crops. Such documents are developed for all combinations of cultivated crops and intensification of agricultural technologies. Remote Web access provides the agronomists with an interface for entering the actual data of the technological map of a particular working area of arable land directly into the field. 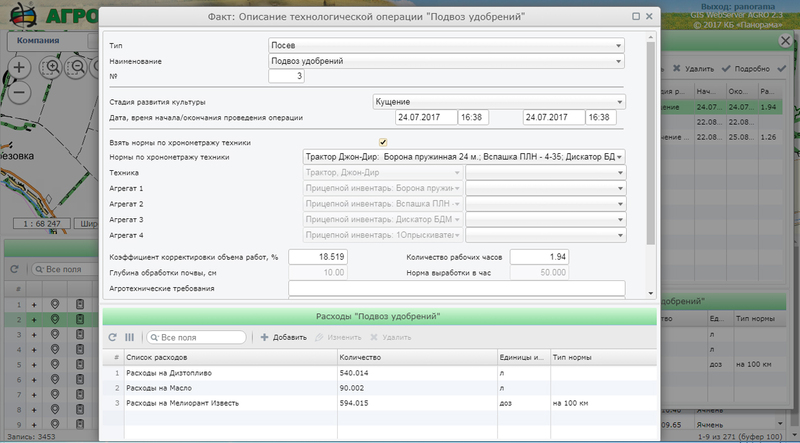 In the new version the system of measurements on the map is updated. In the mode of measuring the path length, calculation of large distances is added taking into account the curvature of the Earth. The calculated lines are drawn on the map. 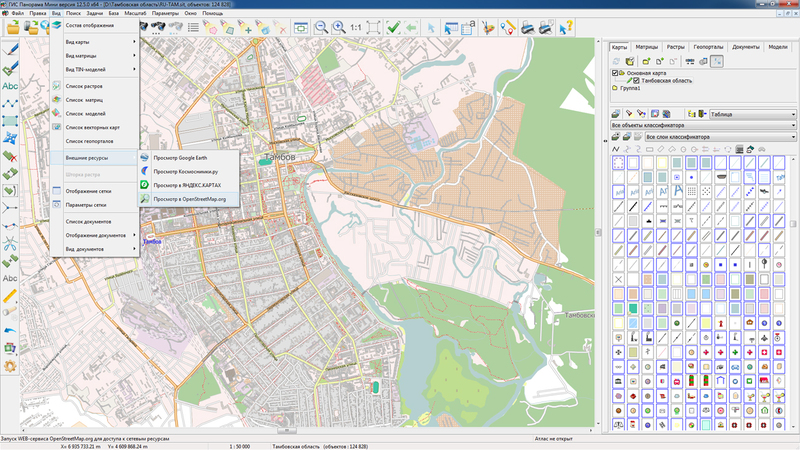 The ability is added for expanding the list of available spatial data sources to perform address search. The program is aimed at specialists in the area of agriculture and is an extension of the GIS Panorama AGRO to work with the structure of sown areas and the infrastructure of an agricultural enterprise using WEB technologies. As a source of spatial data, GIS WebServer AGRO uses multi-platform cartographical service the GIS WebService SE. Data exchange with the service is carried out according to international open standards OGC: WMTS 1.0.0 and WMS 1.3.0. 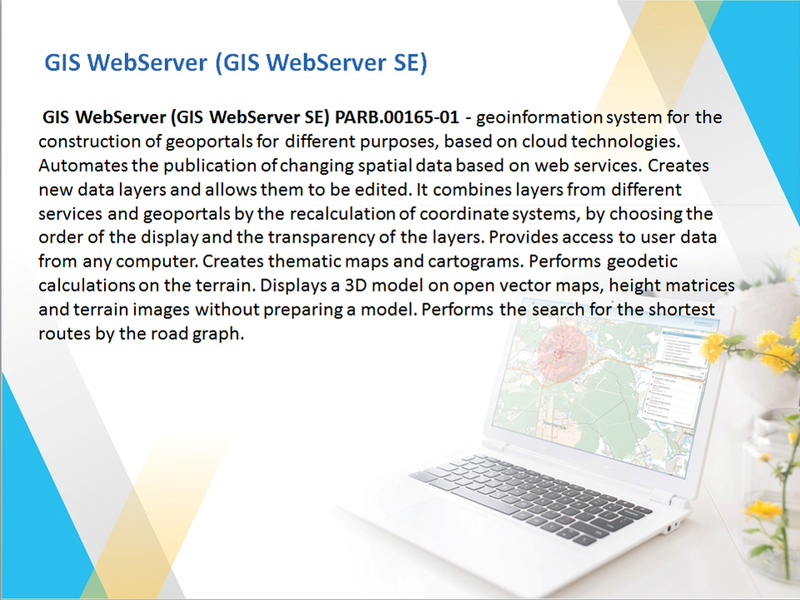 Maps placed on the GIS Server can be a source of data for the GIS WebService SE service. The map layers published from the server reflect the current state of the spatial data base in a time mode close to real. You can see an example of the work of GIS WebServer AGRO on page of the "Agroportal" demonstration project. A new version of the program is available on the site in the Download section. 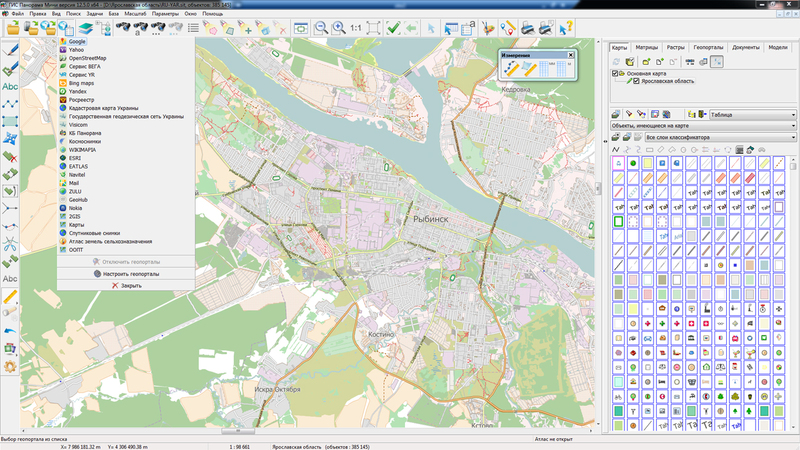 On the geoportal "Bank of spatial data", maps of the Tver and Tambov regions, formed according to OpenStreetMap data, were updated. Source data obtained from the GIS-Lab website are complemented by objects from maps of scale 1: 1 000 000. There are added the objects of hydrography, vegetation, road network. 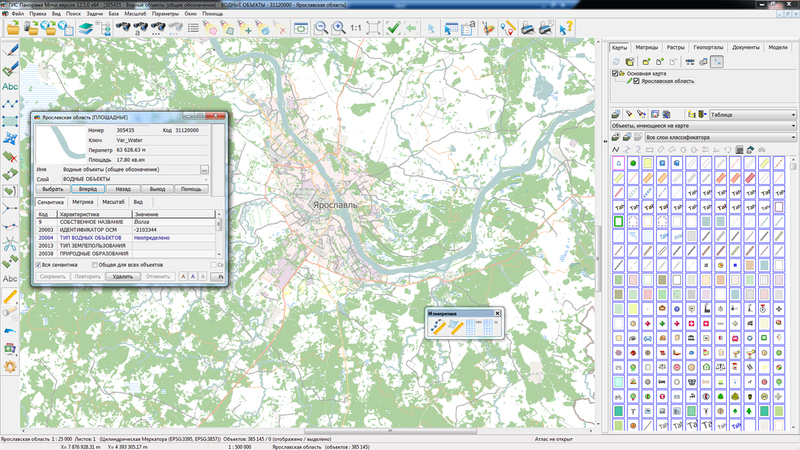 For work with the received maps it is possible to use the program of GIS Panorama Mini or other software products of KB "Panorama". Specialists of KB "Panorama" developed an instruction for the installation and configuration of GIS WebServer SE. It shows the basic positions of installing the application in OS Windows with a set of IIS servers. 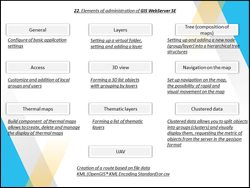 There are shown a simplicity of installing GIS WebServer SE, a quick transition from the beginning of the installation phase to the work of the finished geoportal. In the instruction the configuring of key parametres of work of the application through the remote administration module is shown, all necessary stages of the geoportal deployment from scratch are noted. 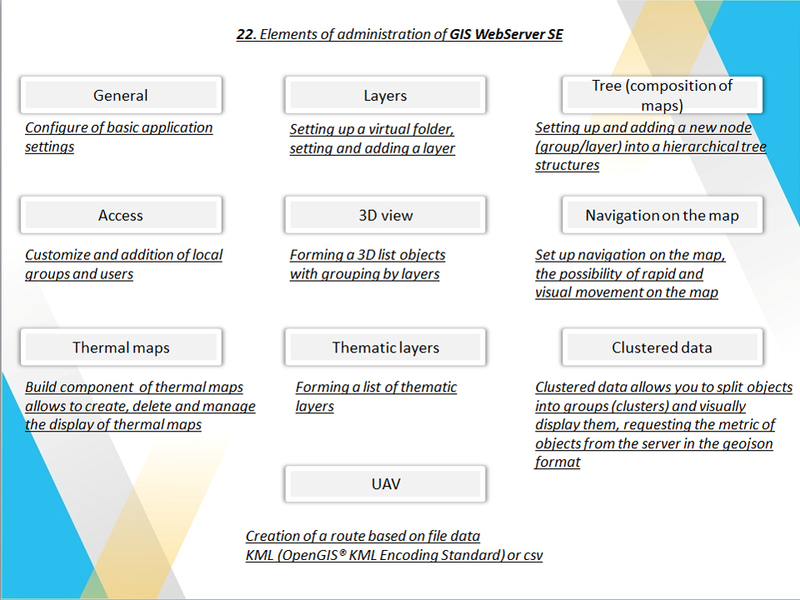 GIS WebServer SE setup wizard will help you install the product in steps and complete all the basic settings. The continuity of the versions provides an easy upgrade of the product and the use of its new possibilities. 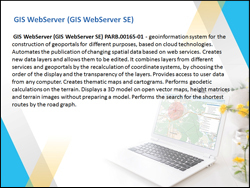 GIS WebServer SE is a geoinformation system for building geoportals for various purposes, implemented on cloud technologies. The program automates the publication of the changing spatial data on the basis of web-services. Creates new layers of data and allows to edit them. Provides access to user data from any computer. Creates thematic maps and cartograms. 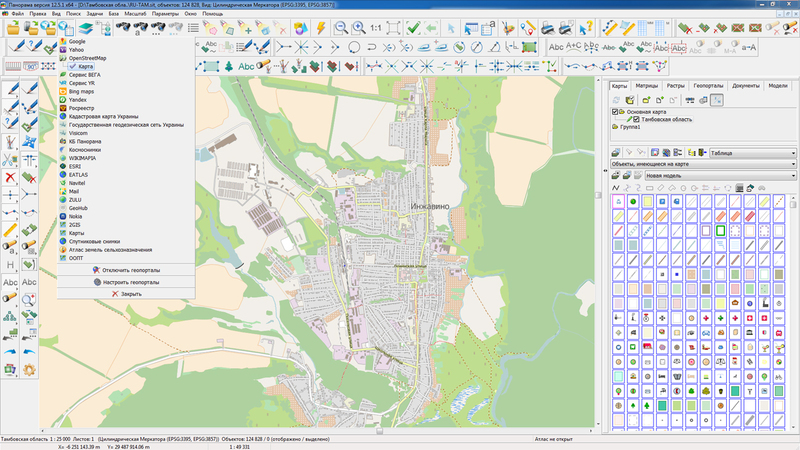 Displays a 3D model on open vector maps, matrixes of heights and terrain images without preparation of model. Performs a search for the shortest routes by the road graph. 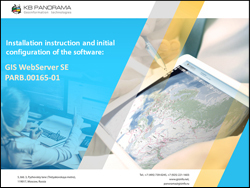 To view the presentation on installation and primary configuring the GIS WebServer SE, see the "Presentation" section.